One of the things I love about living where I do, is that I have a local stamp company right in my own back yard. Taylored Expressions is just a hop, skip and jump away. It gives me lots of opportunities to attend all kinds of classes. The last one I attended was all about Tim Holtz's Distress Oxide Inks. It was so much fun learning different ways to use them. I thought this one would fit perfectly with The Flower Challenge this month. I love how easy it is to blend the colors and get just the look you want. 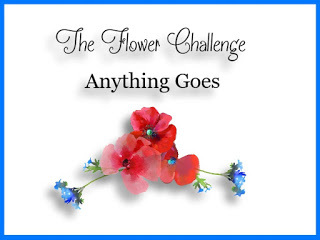 An "anything goes" challenge has always been one of my favorites which is why I was so excited when I saw this week's challenge at The Flower Challenge. 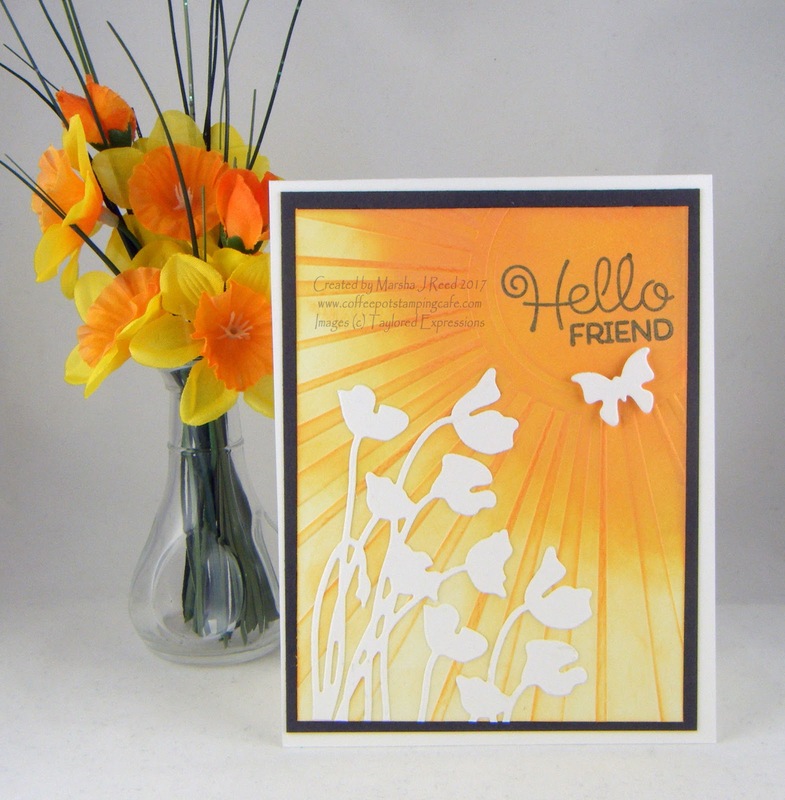 It gave me a chance to show off one of the cards I made using Distress Oxide Inks.